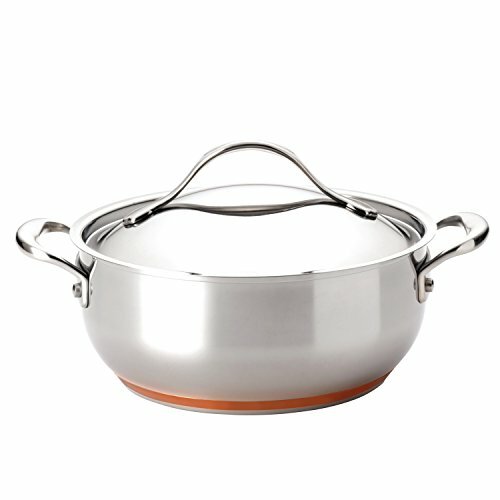 The graceful, wide, shallow shape of this Anolon Nouvelle Copper 4-Quart Covered Casserole moves easily from stovetop to oven to table. Whether you're braising a stew in the oven or simmering soup on the stovetop, you'll appreciate the superior performance of this pan. The stainless steel encapsulated copper base ensures even heat distribution, enduring food releasing performance and easy cleaning.